Is the weather getting warm now? (Or do you just wish it was?!) Do you love to think of warm days on the beach, ice cream and sandcastles? 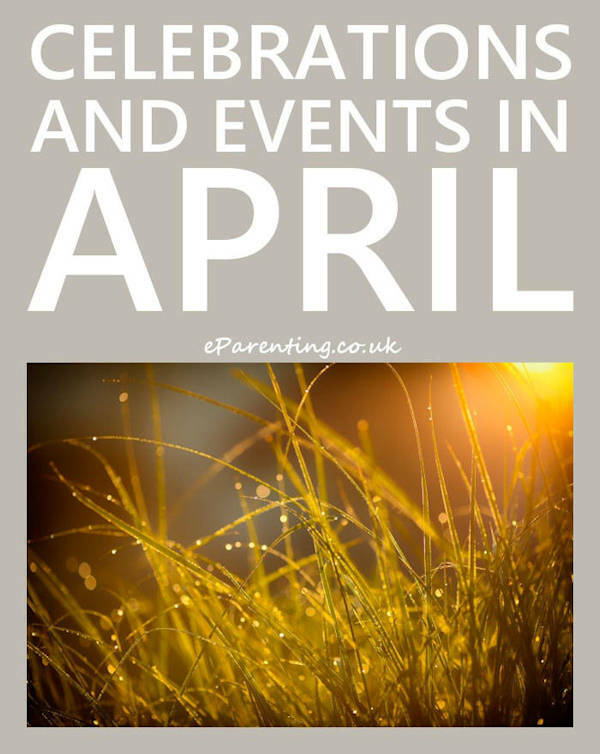 Look forward to those days with this great selection of printable colouring pictures. 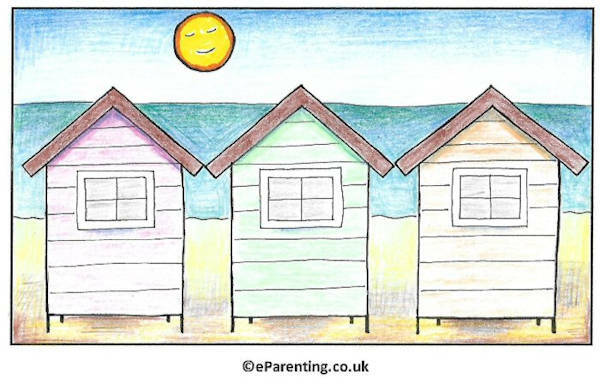 Colour in these cute beach huts in sunwashed pastel shades or bright shades - the choice is yours! This surfer is ready to have some fun in the sea - can you colour her before that perfect wave turns up?! 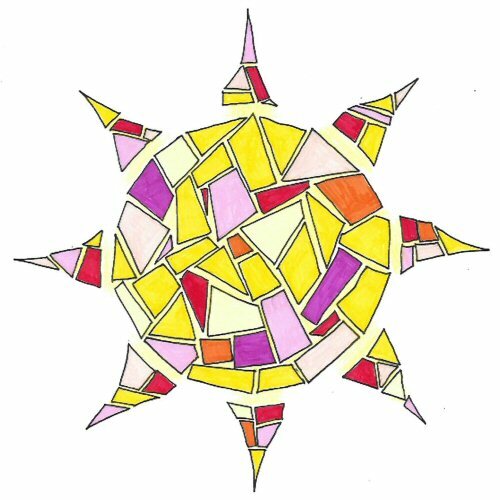 Remember the sunny days with this sun colouring picture. 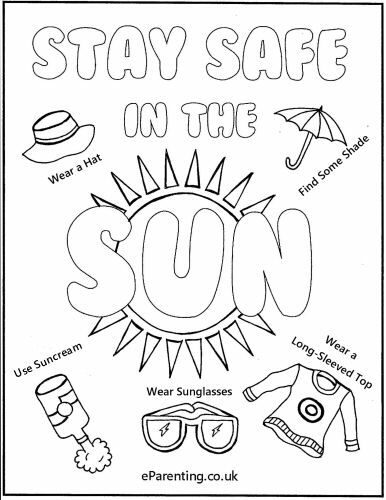 This colouring picture reminds you of ways to stay safe in the sun and avoid getting sunburnt. Sunburn will not just spoil your summer - it can lead to skin dange and possible skin cancer. Pretty daisies grow all summer long. Well they do in my lawn! Have you ever made a daisy chain? This tasty ice cream colouring picture looks good enough to eat! 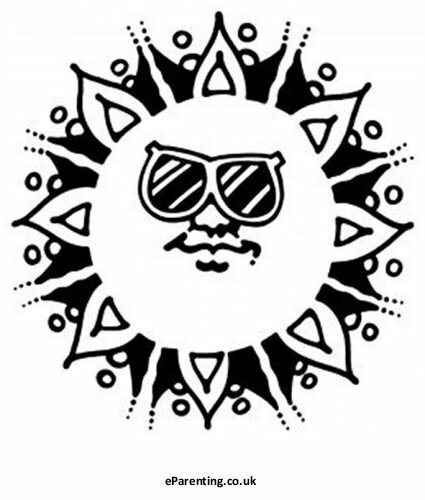 A sun that looks cool? !